Hostway’s Colocation hosting allows companies to house their servers directly in its datacenter where engineers monitor and control the servers so you don’t have to. You can feel safe placing your server in the hands of Hostway, which leads the industry in quality and security. Hostway has 60 engineers and advanced IDC which provide optimal conditions for sustained server performance and protection. Hostway’s headquarters are located in Chicago, IL where it coordinates efforts to provide Colocation services to countries worldwide, including U.S., Canada, Korea, Australia, India, UK, and Netherlands. Overseas enterprises such as "AboveNet Inc." and "Intellilogica. Ltd" in U.S and "Xcellhost FZE" in India are successfully receiving integrated infra services from Hostway’s datacenter. 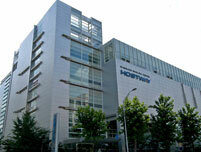 Staff of Hostway Korea are fluent in English, facilitating excellent communication. IT support based out of Korea is also available in English. Hostway provides a building dedicated as a data center and equipped with a Green Data Center System. Additionally, the building is built to withstand earthquakes measuring 7.0. Hostway’s dual UPS, networks, security control systems, have provided customers with non-stop service 24/7 for last ten years. Hostway’s technical know-how is ranked as one of the world’s best, and its OS Operation team, Network team, and R&D provide support through its account management team. What sets Hostway IDC Korea apart is the fact that we provide managed colocation along with fully managed hosting solutions. We have experienced system and network administrators who can help customers with troubleshooting system and network issues along with providing retained managed services. We also offer a full array of dedicated server solutions. This is especially critical for the international customers who cannot be present physically at the data center. Hostway Korea offers all types of products related to IT infra, including Colocation, Cloud Hosting, Dedicated Hosting, Shared Hosting, and Exchange Hosting, that you can choose. We offer Hostway’s FlexCloud ™ public cloud computing solution. We also offer a hybrid cloud solution where you can maintain your own infrastructure while having a Direct Connect service to FlexCloud ™ if you are within the IDC. Remember these various services are provided only from Hostway in Korea. The facility is a modern 5-story building with a structural steel frame and a drilled pile structural foundation. The floors are reinforced concrete over metal decking. The building was constructed in 2000 to provide a high quality data center facility. The total area for the building is 14,533 M^2. The server room total load is 1,570 Kg/M^2. KD Power manufactured primary service switchgear is fed from two sub stations and an automatic transfer switch moves loads between the two stations upon failure. There are total of eleven secondary transformers. They are all three phase 4 wire. The facility uses both Hitec dynamic UPS in N+1 configuration and static APC UPS system. The static APC UPS system is backed up by four diesel generators in N-1 configuration. The diesel fuel is stored in aboveground tanks. The power distribution is via overhead bus system. Each rack is supplied with either 12A to 40A depending on the customer needs. 75 total CRAC units. Some units are connected to dry coolers and others to evaporative cooling towers. Half of the CRAC units are switch ducted to use outside air when the temperature falls below a certain threshold to improve the overall data center PUE. The server rooms are protected from fire by a suppression gas, HCFC-22 and CHCIF2. The gas is stored in pressurized cylinders in locked fire system rooms on each data center floor. The fire suppression gas is delivered overhead in the data center areas and discharged through special system of nozzles. The facility uses card readers to control for access at various checkpoints throughout the building. Additionally, all visitors are manually screened and checked in at the lobby entry by security guards. The entire building is monitored by on-site staff through an array of CCTV deployment. We allow installation of customer CCTV units when additional security is required. The building is located in the center of Seoul. It is strategically located near Seoul’s Teheran Valley, Pankyo Techno Valley, and SeongNam Techno Park. The facility offers data center customers office space, break areas, two passenger elevators, a freight elevator, and exterior door access on all levels for crane lifting in heavy equipment and supplies. The electrical system is on the first floor while the cooling towers sit on the reinforced roof. We offer support and sales consultation in English as well as Korean.Please contact us today.